TWO second-year players have been rewarded for their consistent seasons after being named the round six NAB AFL Women's Rising Star nominees. Adelaide defender Sarah Allan and Brisbane ruck Tahlia Randall have become integral cogs in their respective sides this season. The 20-year-old Allan has claimed the full-back position as her own after floating from end to end last year. She completely nullified Fremantle's Stacey Barr in Adelaide's close four-point win, finishing with 11 disposals, four rebound-50s and a game-high six one-percenters – a knock-on, spoil, smother or shepherd. 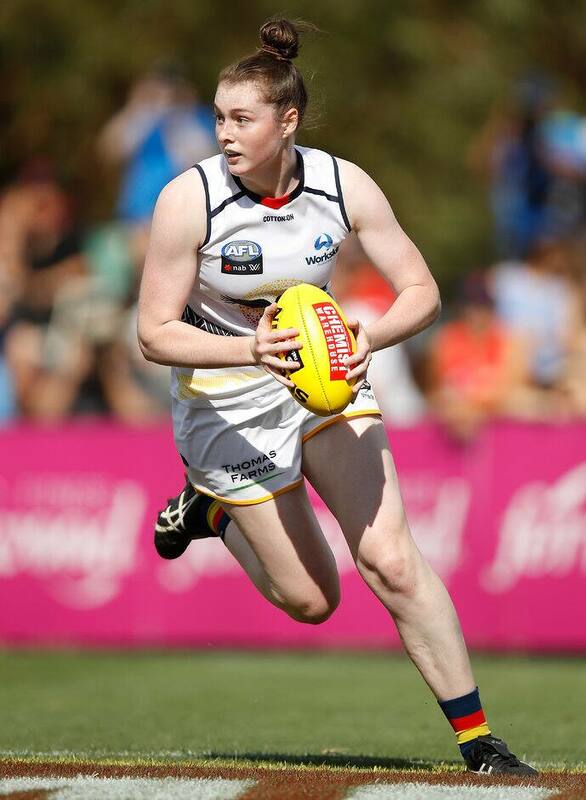 Drafted from Salisbury with pick 122 in the 2016 NAB AFLW Draft, Allan has played every game this season after playing six the year before, including the Grand Final. She is third at the club for intercept possessions, behind defensive stalwarts Chelsea Randall and Angela Foley. Tahlia Randall played the vast majority of last season in defence, but a shift over winter to the ruck while playing for Wilston Grange in the QWAFL has translated into the AFLW season. The 19-year-old is averaging 18.8 hit-outs (the third highest in the league behind Erin McKinnon and Breann Moody) and six disposals a match. She held her own around the ground against last year's All Australian ruck Emma King on Saturday, with seven touches and three marks, but battled a little bit in the air in the rain-affected match. A former volleyballer, Randall captained Queensland at under-18 level.